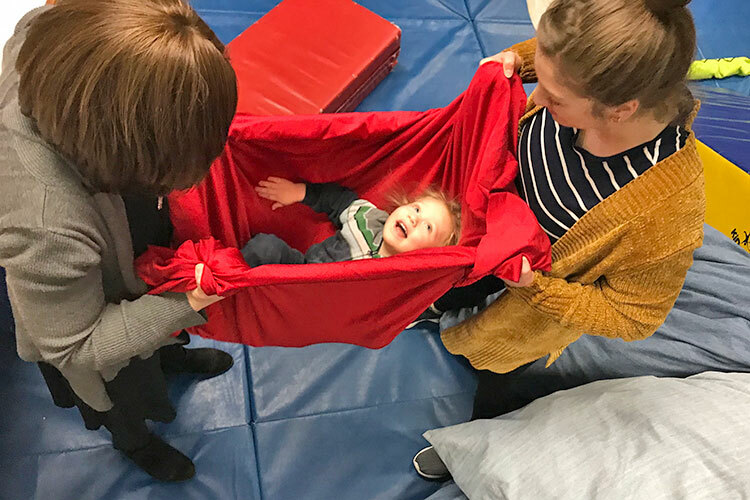 A multidisciplinary evaluation enables therapists from different disciplines to evaluate your child at the same time, maximizing your child’s time and energy during the evaluation process. At Beth Osten & Associates, we can offer your family a multidisciplinary evaluation. This type of evaluation may benefit a child referred for multiple therapeutic services. When inquiring about a multidisciplinary evaluation for your child, therapists’ schedules and other individual factors may impact the ability to schedule this type of evaluation; however we will make every effort to accommodate your family’s needs. If you have questions about or would like to schedule a multidisciplinary evaluation, please let us know by calling one of our intake departments that corresponds to your child’s referrals. If you have questions about or would like to schedule a multidisciplinary evaluation, please let us know by calling one of our intake departments that corresponds to your child’s referrals. If you have questions or are trying to contact our departments not listed within the multidisciplinary evaluation section, please contact us. Occupational therapy helps children and adults develop the skills needed for play, socialization, learning, and participation in daily activities. Speech-language pathology addresses a wide range of communicative needs in order to promote effective and functional interactions. Physical therapy can help children develop gross motor skills and promote active participation in the home, school, and community environments. The DIRFloortime® model provides a comprehensive framework that helps children master the building blocks of relating, communicating, and thinking.